Tofu is an unlockable character in the Resident Evil 2 remake, just like in the original RE2. Tofu is exactly what you think – a hunk of tofu with a police hat on. However, getting Tofu in Resident Evil 2 is damn difficult. You first have to unlock the Fourth Survivor Mode by beating the game several times, and then complete that at least once. On top of all of that, Tofu’s run is one of the most difficult challenges in the game, but hey, bragging rights. Our Resident Evil 2 Tofu – How to Unlock in Fourth Survivor Mode guide aims to show you how to get Tofu, how to unlock the Fourth Survivor Mode, and so on. How to Unlock Tofu in Resident Evil 2 Remake Fourth Survivor Mode? 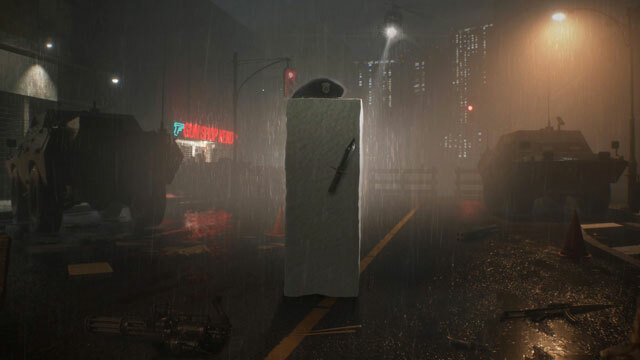 To unlock and play as Tofu in the remake of Resident Evil 2, you first have to unlock the Fourth Survivor Mode. How do you do that? By completing both Scenario A and Scenario B with either Leon or Claire. Luckily for you, you don’t have to play as any specific character. After you complete the game the first time, you’ll unlock Scenario B, and after you finish that you get Fourth Survivor Mode. Unfortunately, this is not where your troubles end. Once you unlock Fourth Survivor Mode, you’ll get to play as Hunk. If you’re a long-time fan of the Resident Evil series, you should be familiar with the gas mask-toting soldier. Somehow, he’s a fan favorite, despite being completely faceless and never a main character. Be that as it may, now you have to play through the Fourth Survivor Mode as Hunk. It’s pretty rough, considering the very limited inventory and amount of items. Once you manage to beat that, you’ll finally unlock Tofu. His run is one of the most difficult segments of the game, so good luck to you! Since you’ll be beating the game over and over, might as well also unlock infinite pistol and SMG ammo in Resident Evil 2, as well as the Resident Evil 2 alternative costumes. Also, check out some of our other guides, such as Leon’s Desk Code – How to Unlock and Weapons Locker – How to Unlock & Get Shotgun. Thanks buddy, i will look into it.